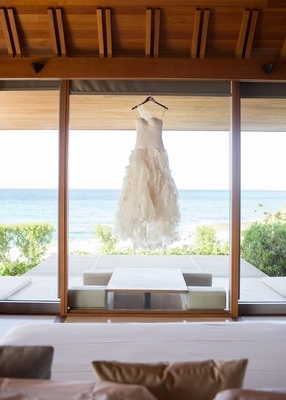 When Elizabeth McIngvale and Michael Cegelski began discussing wedding locations, they decided a destination wedding was inevitable. 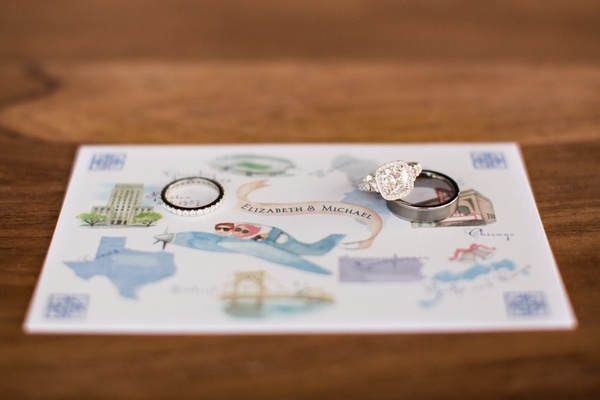 “Michael is from Green Bay, Wisconsin, and I am from Houston, Texas, so either way it would have been a destination wedding for one of us,” says the bride. 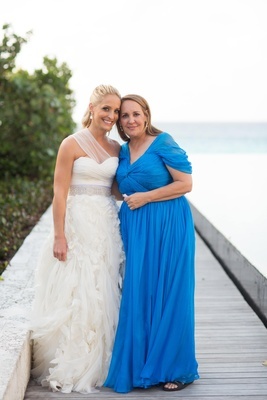 Having always desired a small wedding on the beach, Elizabeth and Michael invited 75 loved ones to celebrate their wedding weekend in paradise at a beautiful venue in Turks and Caicos. 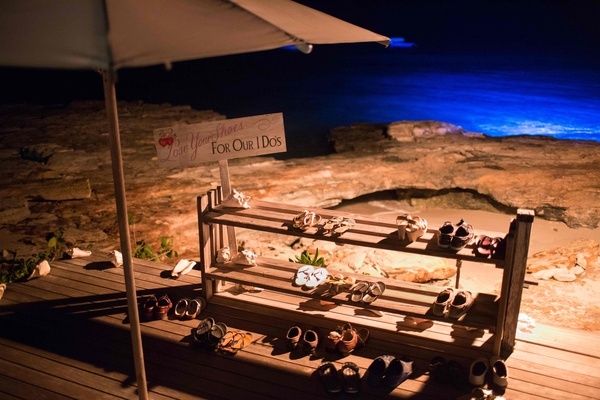 On the day of the couple’s ceremony, the island conditions could not have been more perfect. 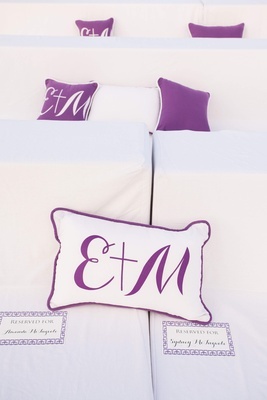 Inviting benches situated on a white-sand beach provided a sense of community for the small group of attendees, and plum-and-white pillows personalized with “E + M” script served as accent pieces. 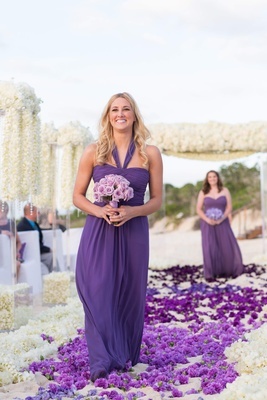 The aisle featured flowers in various shades of purple decorated in an ombré fashion down the center, with vanilla blossoms framing the sides. 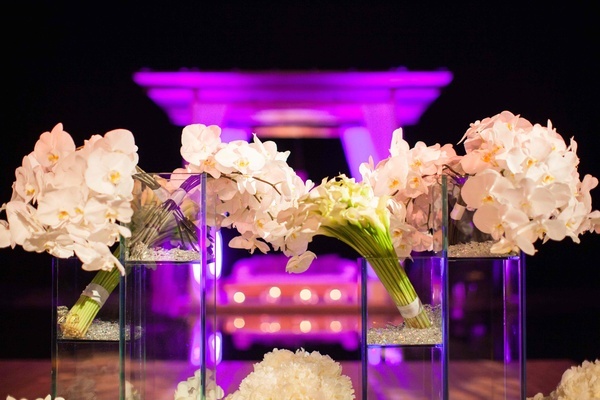 Tall, translucent structures bedecked with floral garlands and crystal beading lined the romantic aisleway, their bases filled with identical alabaster blooms. 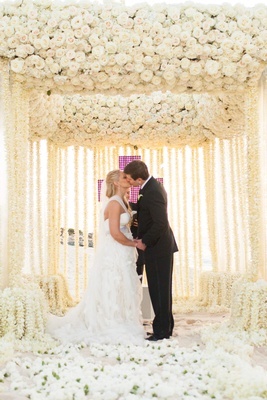 A dazzling ceremony structure embellished with thousands of creamy blossoms provided the perfect backdrop for the vow exchange. 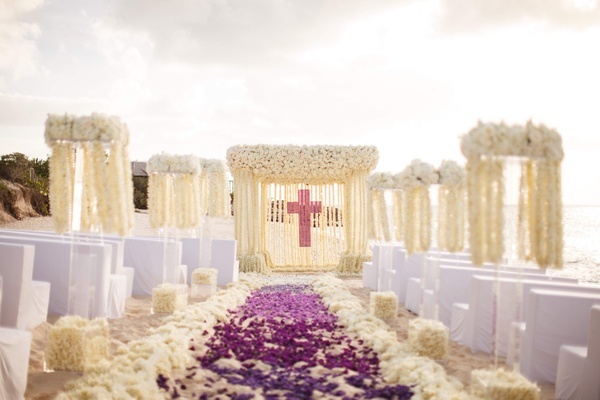 The pièce de résistance of the altar – a sizeable crystal cross in a bright purple hue – honored the couple’s strong faith. 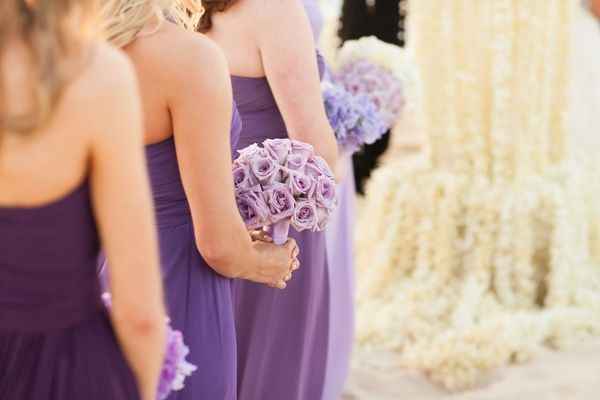 Bridesmaids glided down the flower-strewn aisle dressed in mismatched, floor-length sheaths in varying shades of purple and carried assorted nosegays of roses and orchids in complementary tones of the royal hue. 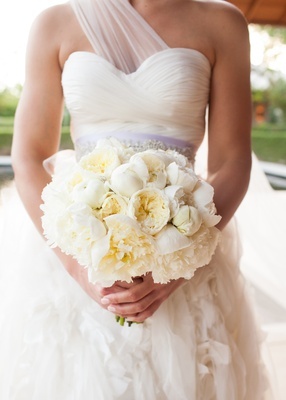 The bride was stunning in a beautiful gown with a sweetheart neckline and asymmetrical tulle strap; she carried an all-white bouquet of peonies. 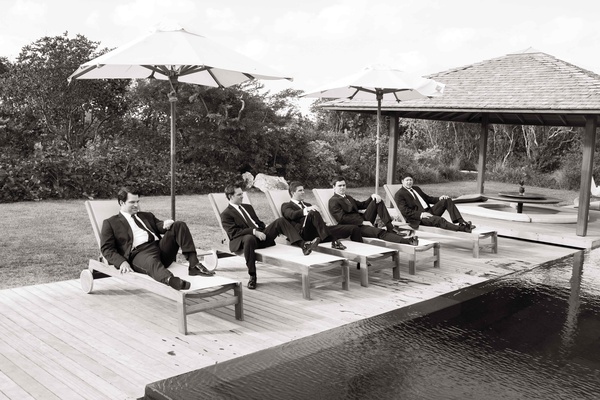 Michael donned black tie and wore a boutonniere featuring a miniature white calla lily; his groomsmen followed suit. 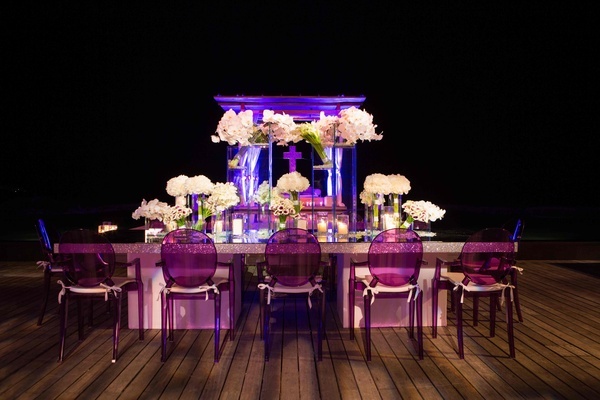 Following their picturesque nuptials, the bride and groom spent a moment alone to reflect on their celebration while loved ones enjoyed a cocktail hour. 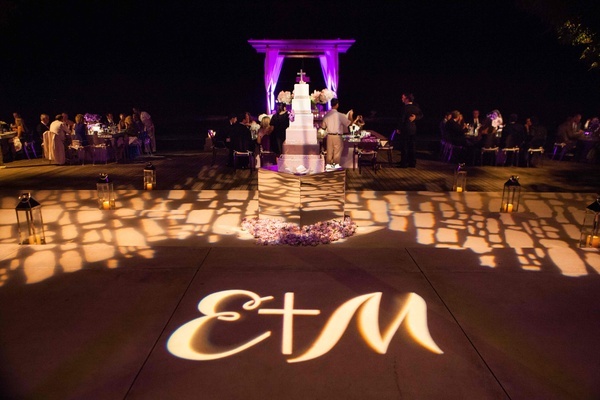 The extra time allowed Elizabeth and Michael to get a detailed look at the impeccable décor for each of the day’s events. 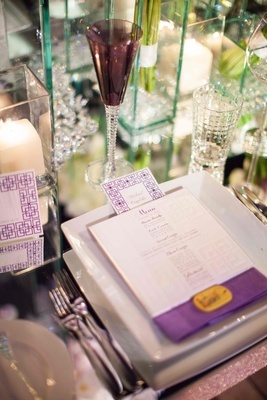 “We were able to take in the beauty of the décor and all of the work that had gone into our magical day,” says the bride. As the couple was getting photographed prior to the reception, guests were also getting their picture taken for a post-wedding gift. “We had an extra photographer take formal photos of everyone at the cocktail hour, which I included in my thank-you letters,” adds Elizabeth. 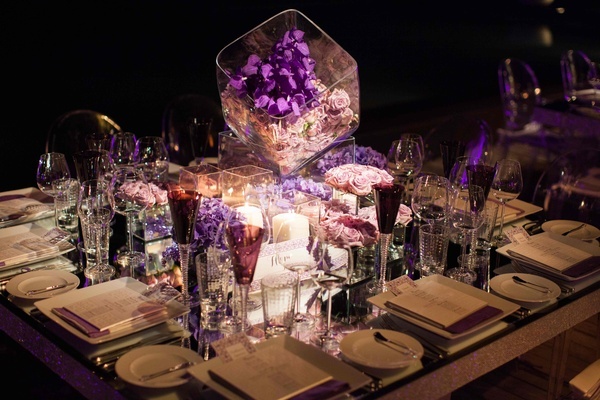 After the dinner service, loved ones indulged in the couple’s specially designed confection. “My family has been using the same cake design studio for years, and we couldn’t imagine using anyone else,” begins the bride. 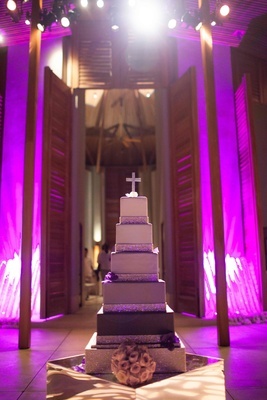 “We flew them in from Houston to create our beautiful, layered ombré cake since they make the most moist, elegant, and delicious varieties.” The towering masterpiece featured five tiers, each a different shade of purple, from dark plum to faded lilac. 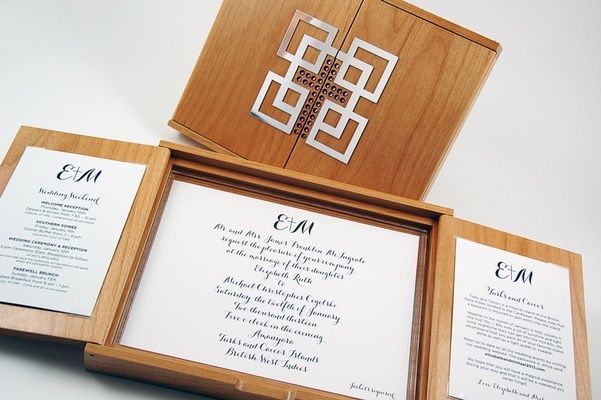 A crystal cross served as the cake topper and shimmering crystal bands surrounded the base of each layer. Once the cake was cut, the couple joined for their first dance on an impressive dance floor, which floated over a striking reflecting pool. Following a formal evening of dinner and dancing, the couple hosted a casual after-party to view the Green Bay Packers playoff game, as a nod to Michael’s hometown and his love for the football team. Guests assembled around a large projection screen, lounged on plush benches and beanbag chairs, and enjoyed s’mores during the festivity. 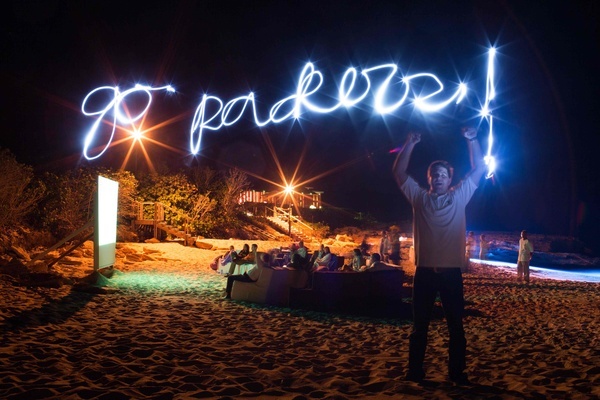 “Although Lambeau Field is the best place to watch a Green Bay Packers game, watching one in Turks and Caicos with our wedding guests put up a good fight for the top spot,” jokes the groom. 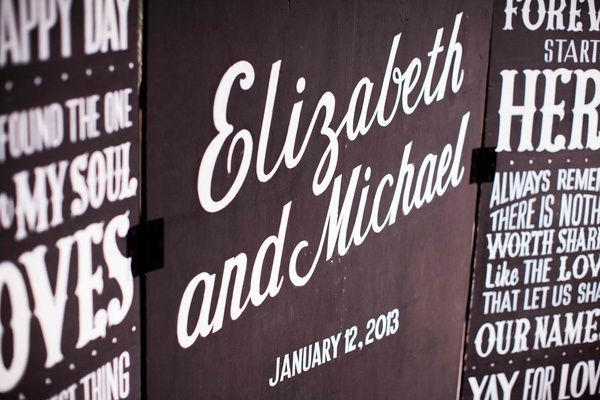 Though Elizabeth and Michael celebrated their nuptials far from home, their intimate event commemorated their love in an unforgettable way. 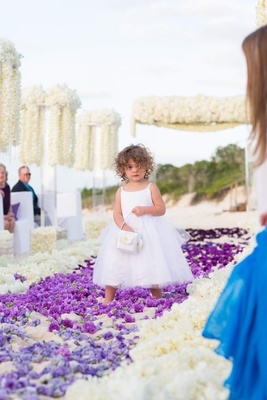 And while they will always remember the moment they exchanged vows, the couple feels as though their wedding weekend will forever be cherished as a time spent with loved ones. 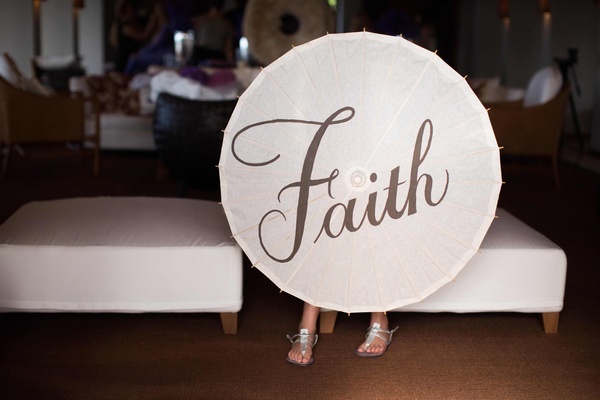 "We never get the chance to all be together, so it was great to have that opportunity," explains the bride. 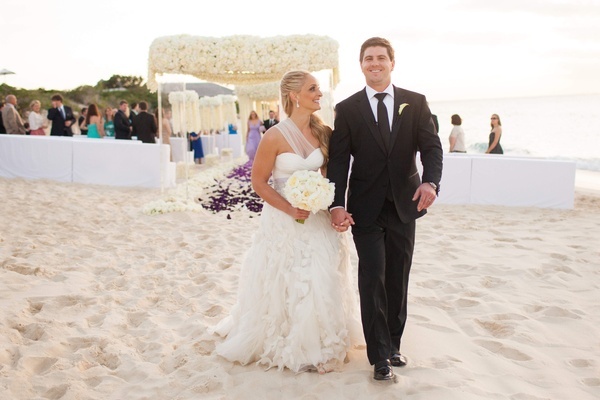 Her groom agrees: "I will never forget having our friends and family together to celebrate the start of our new life together."